An incorrect gas feed tube was installed on the lantern. When lit, the tube can release too much fuel, posing fire and burn hazards. The Coleman Company, Inc. at (800) 835-3278 from 7 a.m. to 5 p.m. CT Monday through Friday, by email at consumerservice@coleman.com or online at www.coleman.com and click on “Important Safety Information” for more information. This recall involves Northstar® liquid fuel lanterns with model number 2000B750 and date codes 10 13 or 11 13. 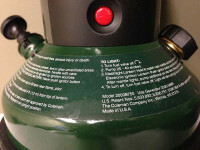 The model number is printed on the base of the lantern, under the lighting instructions. The date code is stamped on the underside of the lantern. 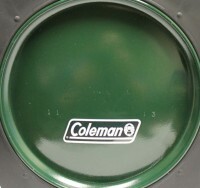 A Coleman logo sticker is affixed to the front of the lantern base. The green lanterns measure about 13” tall by 7” wide by 7” deep. The firm has received two reports of lanterns catching fire when fuel unexpectedly leaked from the bottom of the unit. No injuries have been reported. 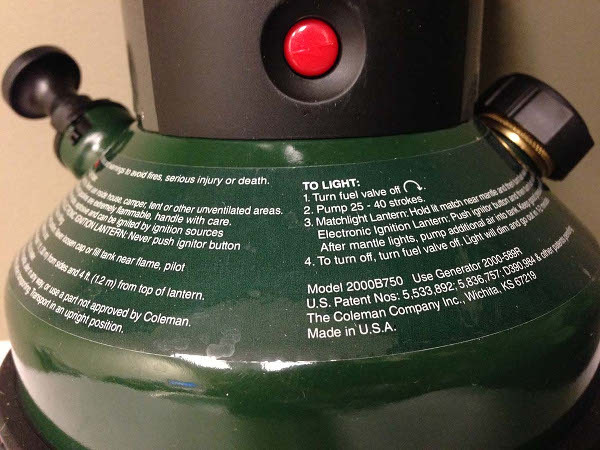 Consumers should immediately stop using the recalled lanterns and contact The Coleman Company, Inc. for a replacement lantern. Sporting goods stores nationwide and online at coleman.com from November 2013 through February 2014 for about $125. The Coleman Company, Inc. of Wichita, Kan.